A guide to the Oxford Steet/ Ocean Village nightlife. Perhaps the most spread out of the five areas, it could be said to stretch from the Town Quay along to Ocean Village. Starting at Town Quay you have Margueritas, firstly a restaurant, as the night gets on the DJ starts up and the dance floor fills up and a mainly over 30 crowd flocks through its doors. Opposite is the Platform Tavern, recently enlarged its a Music Pub specialising in Blues and real ale, a decent atmosphere if you like that sort of thing, a five minute walk then takes you to Oxford Street. Oxford Street is a nice place for a drink, again it attracts an over 30 crowd who prefer to have a meal in its many restaurants featuring anything from Curry to Pizza and then a drink in one of the many bars. 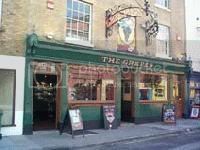 The Grapes is the jewel in the crown always busy its one drawback is the price of the drink and because of this its gone downhill in popularity lately, over the road is the London Hotel a staple on the gay scene in the City. In the old South Western House you have Dock Gate 4 a bar and restaurant that once although doesnt have a dress code doesnt encourage a more street look, you might bump into the likes of Matthew Le Tissier in here or other Saints players past and present. Along Canute Road and you have Ocean Village, the Cork & Bottle is the first that you come to here and is a big chain pub and laways busy. Ocean Village itself is under developement and hasnt yet got its full quota of quayside bars, Banana Wharf is one though. Dont forget the Frog & Frigate a small old dockland pub that revels in its spit and sawdust image and live music. 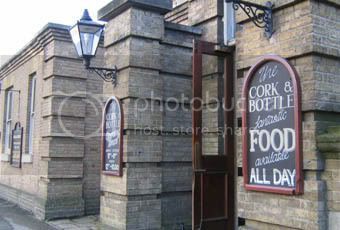 This end of town is definately for the over 30's, casual but smart is the vibe and you dont get the drunkedness associated with the City Centre, in short it doesnt have the nightclubs of the other four areas, but if you like to drink into the early hours in a pub atmosphere then this is the place for you.